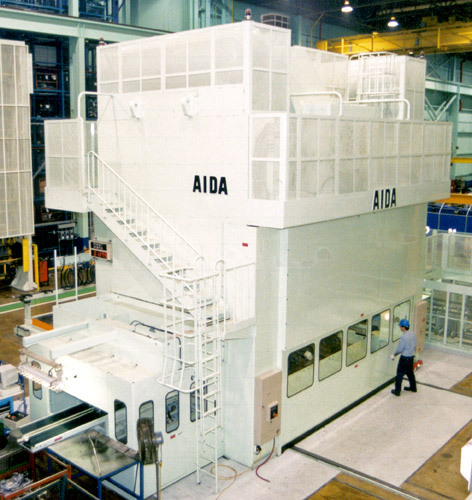 Total Transfer System AIDA's TMX isn't just a press. 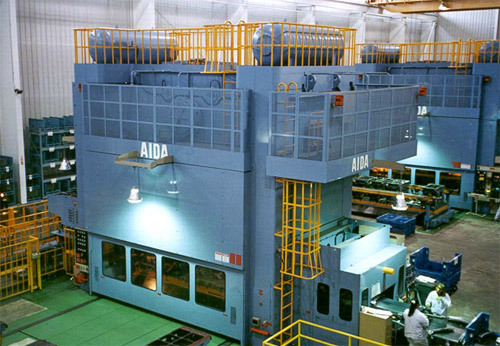 It's a total transfer system. 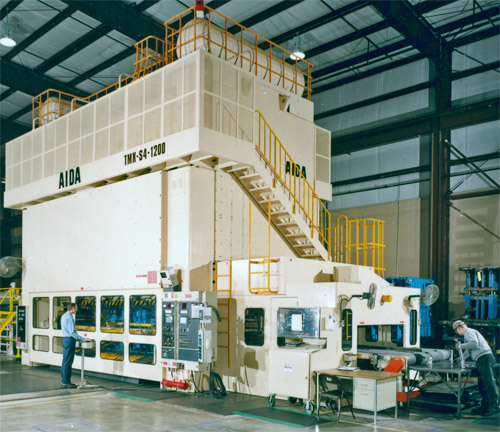 The TMX large capacity transfer press is a high performance press in 300 to 4000 metric ton rating, with quick change die and transfer, non-stop blank changing, and de-stack, and more. 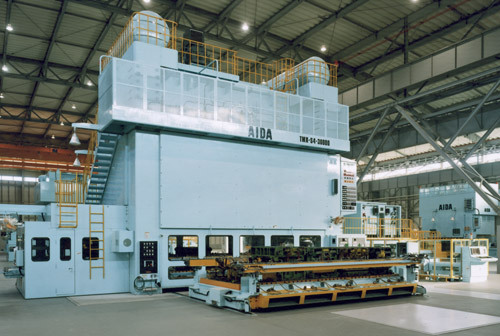 The TMX series builds on AIDA's strength in manufacturing transfer presses of various sizes. 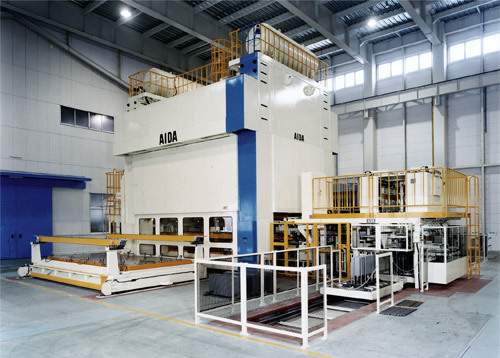 With high capacity to handle a wide range of applications, the TMX is custom designed to your specifications, and can include a link drive for deep draw and forming applications. 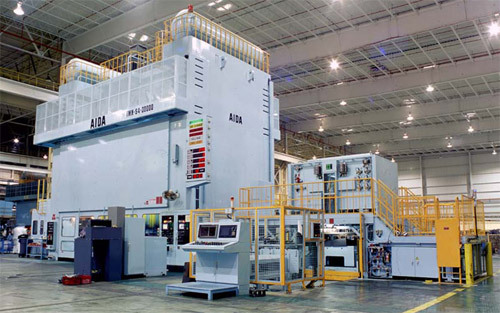 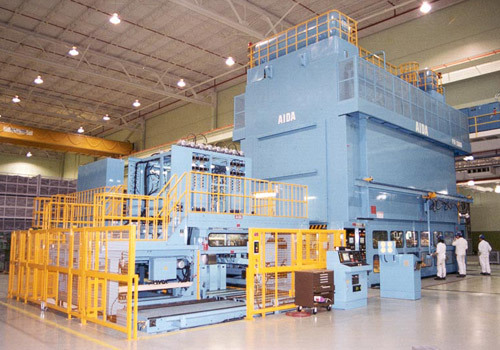 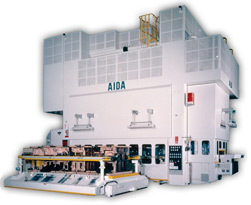 AIDA TMX Large Capacity Transfer Presses are specifically engineered to project requirements. 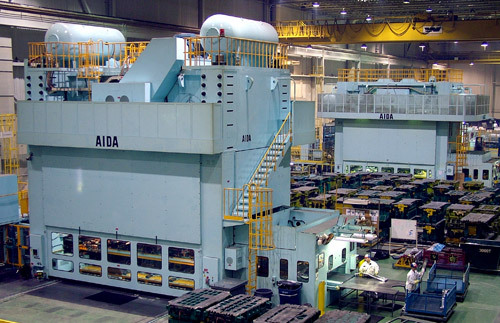 Please contact AIDA with your requirements and specifications.